The exhibition, which opened Oct. 13 in the Heinz Gallery, is more than a simple collection of artifacts from eras gone by: It’s a veritable time travel portal. Opening with a rich collection of beautiful wood furniture, elaborate vases, and intricate jewelry from the mid-19th century, the exhibition advances chronologically through the world’s fairs spanning into the late ’30s. The exhibit looks like a behind-the-scenes tour of a strange movie that’s a combination of Indiana Jones, The Great Gatsby, The Phantom of the Opera, and a live-action version of The Jetsons. It gives off the feeling of walking through a time traveler’s bazaar, weaving a cohesive and elegant thread through a medley of artifacts that are otherwise startlingly incoherent. Besides taking its audience on a fascinating trip into the golden days of the past, the exhibition inspires viewers to reflect on the place of art and craftsmanship in modern society. Everyday objects in the exhibition, from puff boxes to bookcases and arm chairs, are transformed from mundane to magnificent solely for decoration. Have we as a society lost that appreciation for flowery detail and unnecessary embellishment, or is there still a vibrant culture that supports an artistic, innovative spirit? The exhibition subtly asks these questions of the viewers from behind the beautiful display. It’s impossible not to wish you were seeing all of these items for the first time at the world’s fairs. A collection of early Tiffany & Co. jewelry shines brightly under the lights of the display case, and the Art Deco-era radio broadcast panel from KDKA’s first broadcast is on display. The bookcases look as if they’re straight out of Hogwarts; the chairs range from absurdly futuristic to old and indescribably detailed; and the vases and teapots from all over the world make Paul Revere’s silver teapot look like a toy. The exhibition is appropriately — fulfilling, yet not overwhelming. It takes viewers back in time for a stroll through the world’s ever-changing aesthetic tastes while also prompting them to think about the relationship between the arts and the world. This blending of themes was certainly no easy task. 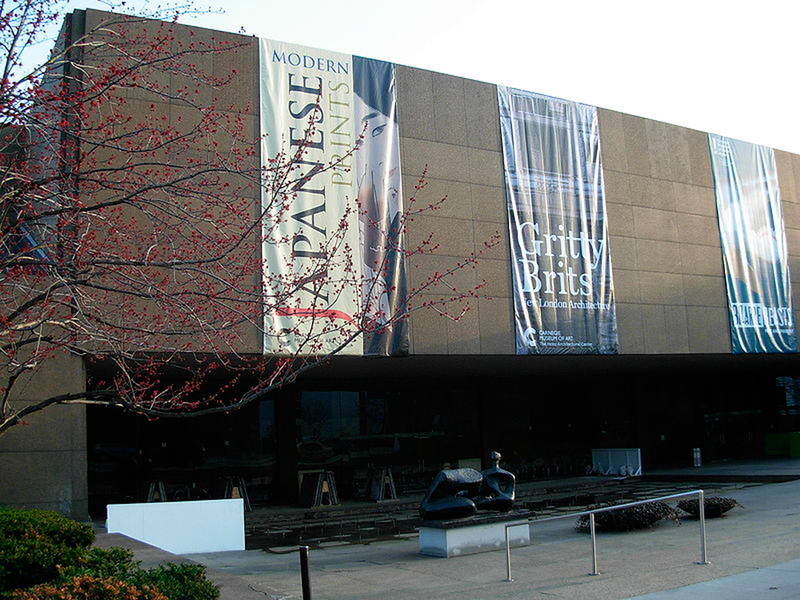 As is always the case at the Carnegie Museum of Art, the exhibition is well researched, informative, and interesting. It’s quite apparent that the exhibit planners paid great attention to detail, resulting in a satisfyingly rich color scheme and minute details, such as a draped curtain on the door between rooms. All of these elements come together to create a fascinating exhibit that blends history and art. Whether you’re interested in ogling Tiffany & Co. bracelets and necklaces or discovering the trendiest way to style a chair in 1918, this exhibition will satisfy both your historical hankering and your artistic craving. Inventing the Modern World: Decorative Arts at the World’s Fairs, 1851–1939 will run at the Carnegie Museum of Art through Feb. 24.